Non-smear formula designed to give excellent cleaning power. Produces a sparkling, streak-free finish on glass, mirrors, ceramic tiles, highly polished stainless steel and chrome finishes. 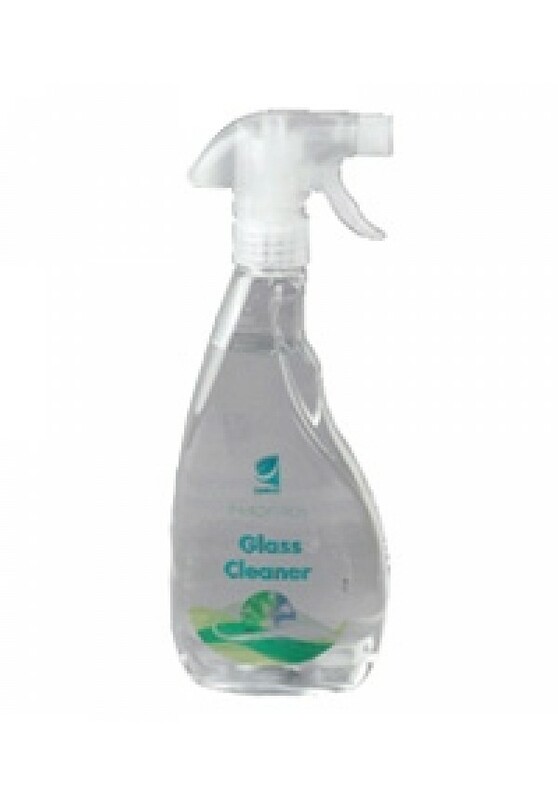 Can be used in sensitive areas such as food preparation areas. Formulated from renewable resources including Bioethanol derived from the fermentation of sugar. The bottle contains at least 50% recycled materials, the trigger and label are all plastic for greater recyclability. Spray onto a clean lint-free cloth and apply to entire surface. Wipe off immediately with polish to a clear, streak-free finish. Glass, Mirrors, Ceramic Tiles, Highly Polished Stainless Steel and Chrome finishes.